A wedding day is something most of us girls dream about from a very young age. We know what we want, who we want, and where we want it to be. Things change from the fairytale wedding we dream of as children, but the main principles remain the same for pretty much all of us. 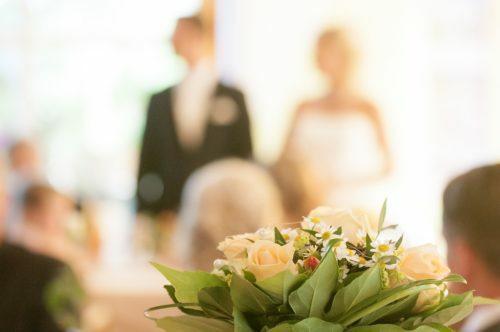 You will hopefully only have one wedding day in your lifetime, so making it as special and as magical as possible should always be on your agenda. It is your one day to feel truly like a princess, to have all the attention on you and your partner, so why wouldn’t you want to go all out for it? To help you envision your wedding day a little more clearly, we’ve got some perfect wedding day ideas for you. Preparing for a wedding takes months, maybe even years for some reason. From the minute you have that question popped to you, you should start planning your wedding, right down to even the most finest of details. First, we need to talk about the dress and how you should prepare for that, because a lot of people get this really wrong. If you’ve booked your wedding date for a year in advance, there is no point purchasing the dress any time soon. You can have a couple of viewings to get a feel of what dress you’d like, but you shouldn’t buy the dress until around three months before. The simple reason being you may change your mind, find something better, or gain or lose weight. The weight side is what people seem to get, especially when it is a few weeks before the wedding. As girls, we either stress eat, or can’t eat at all, and the last thing you want is to get to your wedding day and nothing fits. So, make sure you try the dress on a week beforehand so any last minute alterations can be made. Don’t binge eat, and don’t starve yourself, try and maintain a nice weight. You also need to try and prepare your partner. Males are the absolute worst for leaving things until last minute. Be sure that he’s got his own suit sorted, as well as his groomsmen. Each girl has a different idea of what they’d like the venue to be like. Some might vision it to be the traditional church wedding, others might think the idea of a beach wedding is amazing. Whatever you are thinking of, it is best to get it booked in sooner rather than later. They book up so far in advance, you don’t want to have any disappointment. A function venue is the best place to to hold your wedding after party. It gives you plenty of space to fit in all the guests you might have invited. Speaking of guests, there’s a lot to consider when you’re thinking about who to invite. For one, you need to think of any feuds that might be happening. Some friends, or even family might not get along as well as you would like them to. So if you’re inviting them, make sure you sit them far enough apart to avoid any drama. You also want to consider the dietary requirements of your guests. You don’t want to leave people hungry because you didn’t ask questions when sending out the invites. A lot of caterers will usually ask for any specific dietary requirements to be stated before they begin to do a meal plan. The day is going to be one of the most exciting and nerve wracking times of your life. There will be so many thoughts going through your head. The main will be worrying that the day is going to go right, it is almost unavoidable to think like this. But the main thing that you need to try and do is enjoy the day. Everyone is going to be turning up to celebrate you. You’re going to be the shining star, so the happier and more relaxed you are, the easier the day will flow. Enjoy the time with your bridesmaids beforehand. Have your makeup done, you hair done, anything that is going to help put you in that relaxing mood. Don’t be afraid to have a cheeky glass of champagne or two to calm your nerves. Make sure you have a good photographer on hand as well. It’s nice to look back on the day and remember the good times you shared through photographs. Pingback: Plan your wedding with crypto / Surf 85!